I would have another meeting in 30 minutes. But here I was, locking up myself in a store room, trying to express milk for my baby. The day has been rough. And it badly affected me. Trying to visualize my baby's face and her voice for the past 5 minutes. But I simply couldn't let down. Pumping is challenging, don't you agree? There were times that you cannot take it anymore, or simply want to quit. 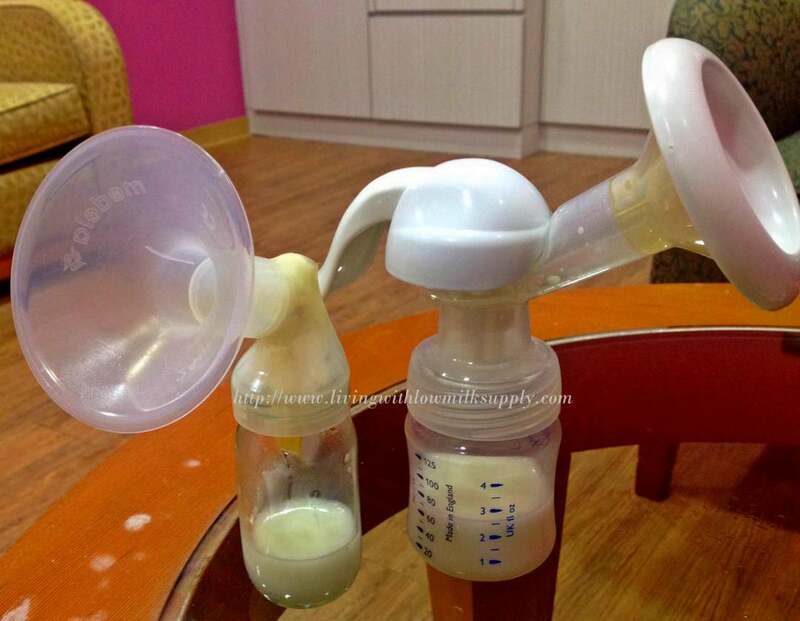 How I wish pumping can be as easy as saying one, two, three, and voila... the bottle is magically filled with milk. But you know what, you can make pumping as streamlined as possible. As quick as possible, because ... well, you know.., we are not in the position to get the longest pumping break we could ever have, right. Now, after 2 years of pumping for my kids, I learnt that you simply need to have some essential items to make pumping easier for you. Ahh... I wish I would have known these when I was struggling to pump for my first baby. So, what are the essential items for pumping at work? Scroll down below to see my top 10 list. PS: I try to be general here because I know moms' preference differ, but I include some of my favorite items that I personally use throughout my pumping journey. They helped me keeping up with all my pumping routines and achieve my pumping goals! A confession: I used to use a manual breast pump with my first baby and I took me close to one hour for each pumping session! Bad idea. Then I thought I could get away with a single electric breast pump, but nope..., I ended up pumping longer than I was and not emptying my breast thoroughly. Until I finally use a double electric breast pump. Boy, this one is a game changer. I wish I bought this right from the start. It helps me to thoroughly empty both breasts at the same time, such a time saver. I'm totally in love with this heavy-duty breast pump. It is soo comfortable pumping with Spectra S1, and it's pretty effective in emptying your breast. Yes, it is bulky, but totally worth it (click here to read my full review). A lot of moms think that a manual breast pump is good just for back up. In case you forgot to pump, or for a super-quick pumping session to relieve engorgement. Do you know that hand expression after double pumping helps to further empty your breast and stimulate faster milk﻿﻿ ﻿﻿production? Sadly, NOT everyone master hand expression (me included!) and that's where a manual breast pump comes to a rescue! I use my manual pump right after pumping with my double electric pump to further drain my breast. I don't know why, perhaps because you get a better control of what the pump is doing, or because you naturally massage and squeeze your breast as you pump, manual pumping helps to squeeze those last drops of milk that won't get extracted by an electric pump. If you asked me which manual pump is good, then I would undoubtedly choose Avent Isis Manual breast pump.It has super strong suction and empty breast very efficiently (and quick). Love love this little and portable pump (learn more about this little pump in this full review). 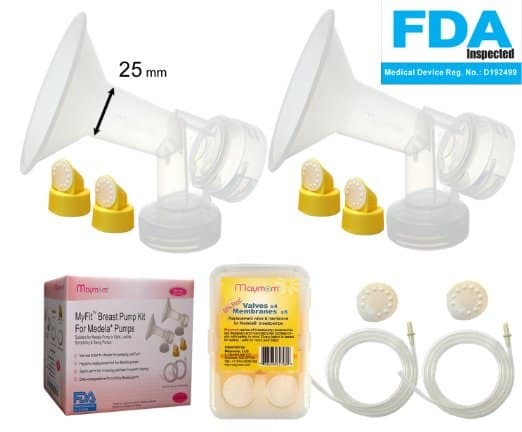 Unfortunately, Avent does not provide various breast shield sizes, so if the one that comes with the pump does not fit you, you are in trouble. If you need a bigger / smaller breast shield size, Medela Harmony​ may be a beter fit for you. In fact, some breast pump parts need to be replaced regularly in order for the pump to perform well. Now, do you realize how expensive these extra parts could be? I remember when I'm still pumping with Medela Swing, I need to replace the membrane every month to keep the suction strong and wow...., that's a lot to go through. Not to mention that I want to have a spare tubing for emergency case.The cost adds up a lot. No, this brand does not produce breast pump, but only the accessories. But you know what, it produces a vast range of pumping parts that's compatible with major breast pump brands. 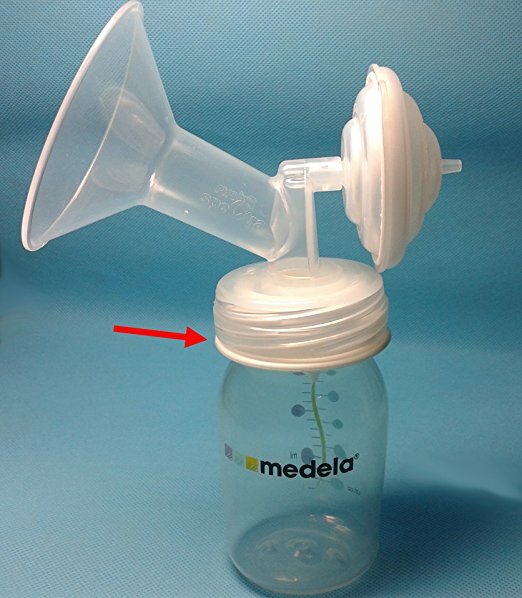 bottle adaptor to connect a wide-neck breast shield to a narrow-neck bottle (such as Medela bottle), very handy! With various sizing from 15-mm to 36-mm (compare to Medela which only offers 21-36 mm) you have plenty to try and choose which one suits you the most. Check out their breast shield products here. You need breast milk bottles, obviously, to pump, store milk, and feed your baby. I suggest you use the same bottle brand for both pumping and feeding. 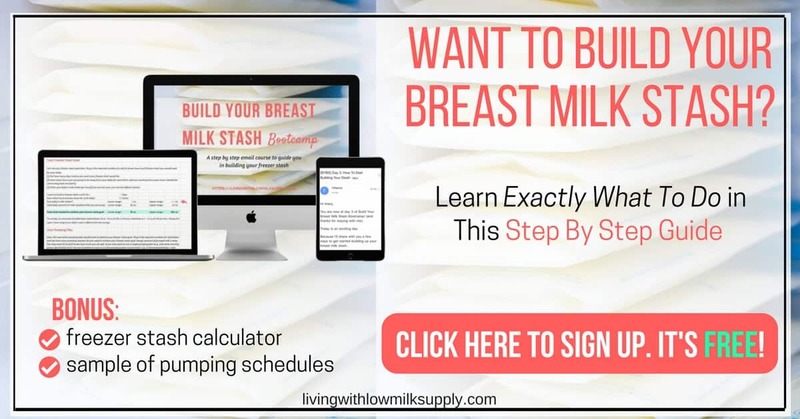 Because you know, transferring from one bottle to another can waste a little breast milk (talk about the sticky fatty part of the milk that won't flow easily once you put your milk in the fridge). In general, there are two types of breast milk bottle, narrow-neck and wide-neck. Narrow-neck example would be Medela while wide-neck one would be Avent. I personally go with Avent wide-neck bottles because my baby loves it, it's easy to clean and I can even use it with Medela breast shield by using a breast pump converter. I especially love the 4-oz size. I think it's the perfect size for my baby (since her feeding never goes beyond 4-oz anyway) and not too bulky to bring to my workplace for pumping. 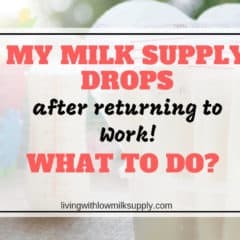 I have no issue with breast milk bag, but the thing is, once I went back to work, 75% of my pumping yield was used for the next-day feeding, so it does not make sense to transfer to a milk bag right after pumping. What I did is I brought bottles as many as 2 times of no of pumping sessions, after pumping, simply store the milk in the cooler bag, then transfer to the fridge once I reached home, combine them (as in, use some of them as feeding bottles) in the next morning, and only the little extra goes to freezer. Don't waste your time holding onto your bottles while pumping! You can do more productive things by wearing a hands-free pumping bra. A branded pumping bra (here are some popular ones: Simple Wishes, PumpEase, Rumina ﻿﻿﻿Classic). But wait...What should you do while pumping with hands-free pumping bra? No, I won't suggest you to multi-task doing your work. Rather, give I a little massage and squeezes to your breast to encourage better milk flow. Hands-on pumping, ladies! It will give you more milk! Trust me. 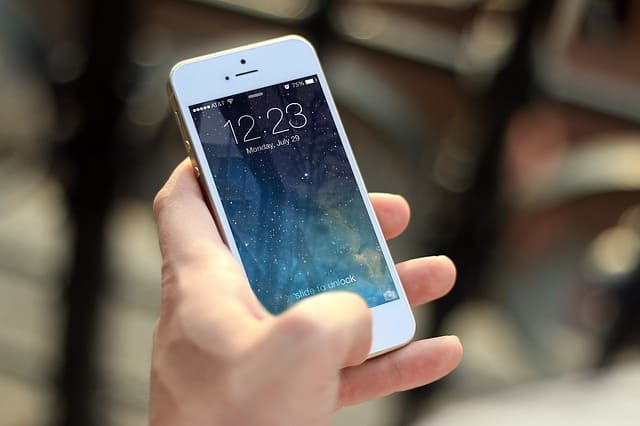 It may be counter-intuitive, but your mobile phone contributes a lot to my pumping success. 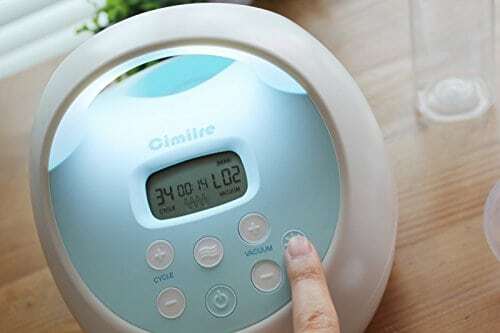 You can use it to set daily pumping reminder, store your baby's picture and video so that you can watch it while trying to aim for let-downs, or simply to scroll your social media feeds (again, this can be another way to stimulate let-down when baby pics make you feel even more pressured). Expert tip: Before going for your pumping routine, make sure your phone is not on low-battery mode. I used to watch my baby's video on my phone to get let-down faster, and one day my phone was dying due to insufficient battery life. Ughh... it took me much longer time trying to get my let-down. Not anymore! We love saving times here and there, right? And that's why, I decided to put my breast shield into a Ziploc bag without washing/rinsing/sterilizing it ALL the time. Yes, it completely sanitary. ﻿And it saves a lot of time. I only wash my pump parts at the end of the day, while in between, they go to the zip lock bag and to the cooler (in the office) or fridge (at home). If you are not comfortable with this, another quick option is to use Medela Quick Clean Wipes (no rinsing required, just wipe clean to sanitize them). You need a cooler bag to transfer milk from your workplace back to home. This becomes even a bigger necessity if you don't have access to a fridge at work. I was the second one. There IS a fridge in my workplace but it's super-full with colleagues' lunches, fruits, and other stuff. There's no way I could store my milk there. So, I decided to use Fridge-to-go cooler bag. This is my go-to cooler bag. 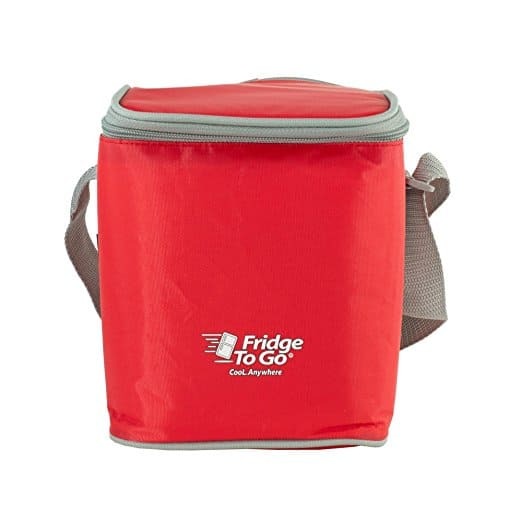 Its chilling effect lasts up to 12 hours, perfect for moms who do not have access to fridge in the workplace, or simply do not feel comfortable storing EBM in a shared fridge. The dual slim ice panels are self-contained, giving ample space to put all your pumping supplies. FYI, I could fit 4 Avent 4-oz bottles and 2 breast shield sets in this little bag. Not to mention it is very durable. Mine is 5 years old and still working well (check out how mine looks like in this detailed post). 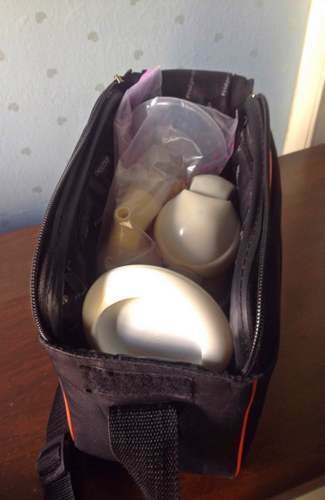 And by the way, if you prefer an all-purpose bag that can serve as your work bag, pump bag, plus some insulated spaces for your precious milk, ALL at the same time, I bet you'll be interested to get a breast pump bag. Sarah Wells breast pump bag offers several selection and is moms' favorite brand, but if you prefer more choices, click ﻿here ﻿to learn some of my favorite breast pump bags (with their pros and cons). Not every mom has the privilege to pump alone in a locked nursing room alone. Some have to pump right at their desk, some in a store room, some in the plane. This is where you need a nursing cover to pump discreetly. I personally don't need a nursing cover every single day because there is a nursing room in my workplace. But I always keep it in my bag, for emergency times when the nursing room is occupied and I need to pump urgently in a no-lock store room (my back-up pump station if the nursing room is not available). You don't need a branded nursing cover, really, mine was unbranded one, or you can get a cheap one like this for just $10. With time as a super important asset, I don't sterilize every time I pump. Instead, I sterilize once a day. So I need a big sterilizer that would fit all my pumping kits plus bottles and teats. 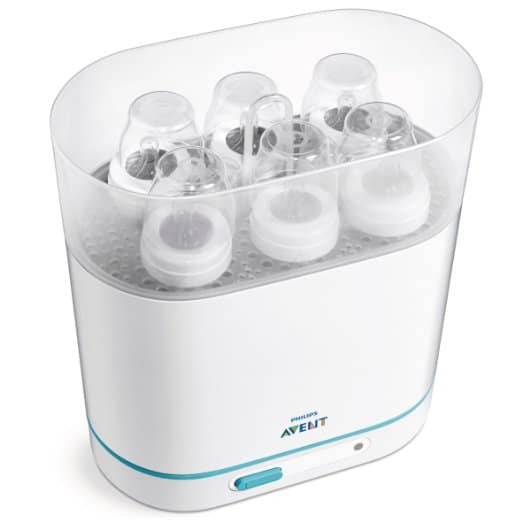 Avent 3-in-1 ﻿﻿﻿﻿sterilize﻿﻿r fits my need. It is super spacious and able to contain all my pumping supplies: parts and all the bottles for pumping / feeding. I just dump all my pump parts at the end of the day and they get sterilized within minutes. 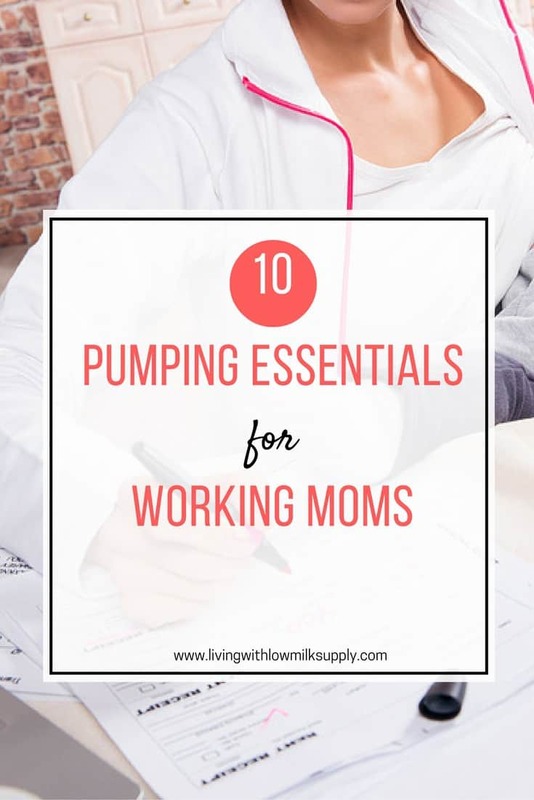 My top 10 essential items for pumping at work. Are they all compulsory to have? The answer will depend on your situation. I am a big believer of don't simply do things just because others do. Perhaps, you may not need a nursing cover because you always have the privacy of pumping alone in a proper nursing room. Perhaps, you don't need a steam sterilizer because you already have a microwave at home and it can do sterilizing as well. So, can you promise me something? Before you start thinking: ah.. I need this and that, evaluate your situation first. Do you really need all of them, some of them? And then decide, which one you really need. 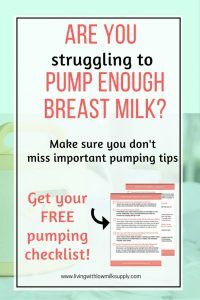 I hope this post helps you to prepare your pumping journey ahead. Or, if you are already in, hopefully, these will open up a new way to streamline your pumping routine. Now tell me, what's your favorite pumping essential that you can't pump without it? Hello! I wanted to say that I love your website. It is an amazing resource. I wish I had found your site earlier in my ‘pumping’ career… pumping daily at work was stressful. I agree with every point on your list – especially about having a manual pump. After my first month of pumping at work with my double electric pump I invested in a manual pump and it helped me make sure I expressed enough milk each day. Yay for manual pump. I wish I could be better with hand-expression. But fortunately I found that I can replace the ‘hand expression’ with manual pumping. It saves so much time and drain my breast better. hi, where can i find disc locks for avent natural wide neck bottles? You can use the sealing discs and bottle sealing rings for avent classic. They are compatible with avent natural, too. I used them all the time. No leaks. A manual pump to get the last little bit out? Why have I never tried this!? I will try hand expressing today and will invest in a manual pump if needed. All of these tips and are great! I love this website! Yeah, you should try this! I can’t master hand-expression and a manual pump helps a lot in emptying breast. 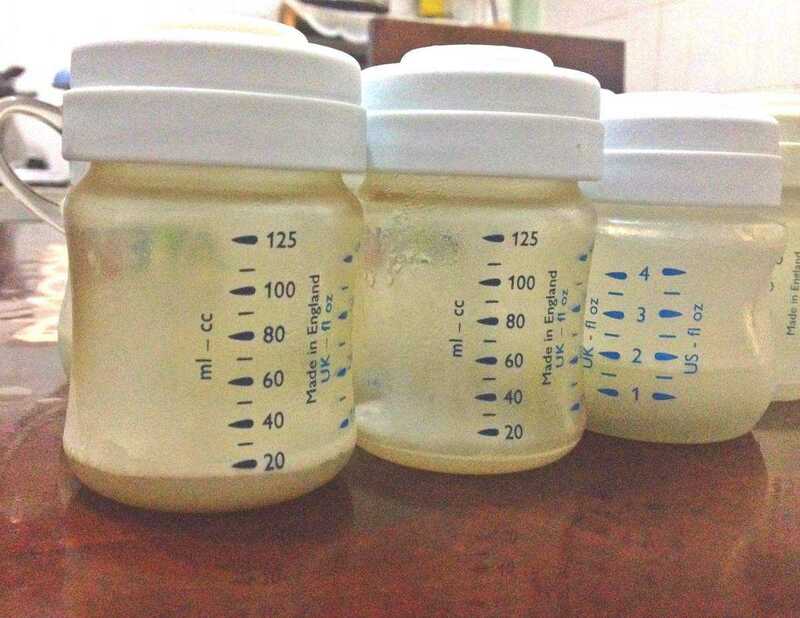 If this is the amount you pump ( I’m lately the same milk supply went real low) how do u manage to leave 2 bottles for you baby?? Hi, the first one is from my pumping session at work, second pic from weekend pumping. Does not seem to be a lot if you look at each bottle, but it does add up (I aimed to leave 400 ml each day).